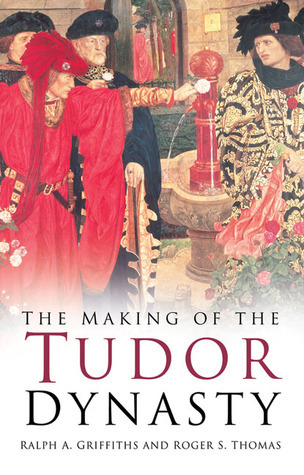 Anyone who has an interest in the Tudor dynasty of English kings will find this book invaluable. It should be primary reading for an understanding of where the Tudor family originated, giving essential information on their Welsh origins. Originally published in 1985, it is an extremely enjoyable to read. Before his retirement in 2002, Ralph A. Griffiths was a Professor of Medieval History at Swansea University in Wales. He says in the preface of the book the origins of this volume began with a trip to Bosworth Field where he noticed there were more and larger portraits and greater access to information on Richard III at the battlefield center than there was for Henry Tudor. He found this distressing. Around the same time he was researching the early Tudors in Wales and he had a student, Roger S. Thomas, who had completed his doctoral thesis on Jasper Tudor. Griffiths was now prepared to make what he calls an “authoritative, coherent account of the earliest Tudors, including the Bosworth campaign itself”. He says Chapters 4-7 were heavily indebted to Roger Thomas’ work, thus requiring the listing of Thomas as co-author of this book. The first chapter of the book covers the early Tudor family and their service to the princes of Wales, especially in Gwynedd. The early Tudors were not nobility but servants to these princes in several capacities. They were richly rewarded for their services and became wealthy landowners. Ednyfed Fychan, the early thirteenth century Tudor ancestor, had many children who continued in their service. They also tried to negotiate a path between being loyal to the princes of Wales and to the Kings of England. This state of affairs existed until the rebellion of Owain Glyndwr in 1400 when the English king came down hard on Wales with many restrictions on the country. The most crucial descendant of the Tudor family was Owen Tudor. He married Katherine de Valois, the widowed queen of the Lancastrian king of England Henry V. The circumstances of this marriage are mysterious and highly romanticized. However, the marriage was acknowledged as valid during their lifetime and all the children born of the marriage were recognized as legitimate. The two most significant of their offspring were Edmund and Jasper. Edmund was the father of King Henry VII and Jasper, his uncle was critical to his mission to wrest the throne of England from King Richard III. Griffiths covers this era in great detail. He also has significant information on Jasper and Henry’s exile in France as well as their mustering of an army for Henry’s invasion of England in 1485. Griffiths gives a succinct description of Henry’s march from his landing in Milford Haven in Wales to the battle site of Bosworth and of the battle itself. Henry’s victory was unexpected. Griffiths ends with a short overview of how Henry began his reign, who he rewarded and who he punished after his conquest. This book reads like an adventure story. In addition to recounting the Tudor story, Griffiths gives us a rundown of the sources he used. There are numerous illustrations in the book that greatly add to the story. There’s a map of Tudor holdings in Wales and of Henry’s march through Wales to confront Richard III. The genealogy charts of the early Tudors are essential to an understanding of the family. I love this book and will use it in the future as a reference guide. I understand The History Press has released a new edition of the book in 2011 with a new preface. It is available as an e-book and in used editions. As historians, we are lucky to have a selection of biographies on English kings published by the Yale University Press called “The English Monarchs Series”. For over thirty years, the biographies, written by eminently qualified historians, have given us the latest research on these important figures in history. S.B. Chrimes, born in 1907, was head of the department of history at University College, Cardiff, the University of Wales, from 1953 to 1974. 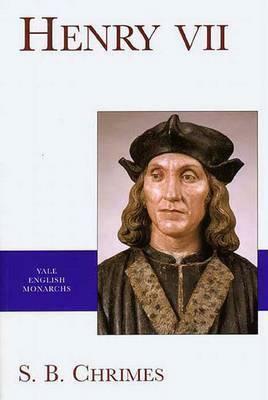 This biography of Henry Tudor was first published in Britain in 1972 by a British publisher. A paperback edition was issued in 1977 and Yale University Press published their edition in 1999 with a new forward by George Bernard, reader in Tudor history at the University of Southampton. Bernard’s forward essentially updates the research done by Chrimes since the original publishing of the work in 1972. For the most part he states the work is still valid with a few revisions based on new research. The earliest works on Henry were from James Gairdner and Wilhelm Busch from the 1890’s so Henry was definitely due for a fresher look. Chrimes is quick to point out the biography of Henry VII’s life from Sir Francis Bacon (1561-1626) should be taken with a grain of salt and refutes several of Bacon’s arguments. Part one of this book gives us an overview of Henry’s life up to the Battle of Bosworth in August of 1485. 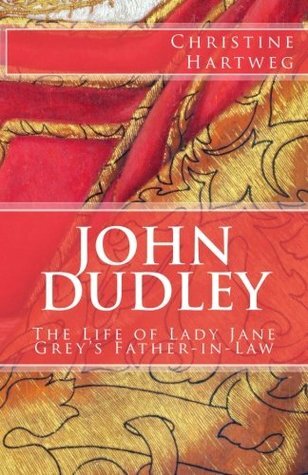 This is followed by a chapter on his accession, coronation, marriage and family. Next he covers the issue of security which Henry dealt with for the rest of his reign. Chrimes recounts the uprisings and pretenders who haunted Henry for many years. This section of the book is very interesting. The rest of the book gives us many details on Henry’s reign based on meticulous research by Chrimes and others. Part two of the book is entitled “The Personnel and Machinery of Government” with sections on the King Council, Seals and Secretariats, Financial Administration, Parliaments and Great Councils and Judicature. While this section is very informative, some may find the material dry and uninteresting. If you are a Tudor historian, you will learn a lot about the workings of early Tudor government. Part three is entitled “Statecraft”. This section deals with law-making, law enforcement, fiscal and financial policy, economic and social policy, relations with the church, Henry’s policies toward Wales and Ireland and his handling of foreign policies. Again, some of this information may appear dry but I found the chapters on Wales and Ireland and Henry’s foreign policy to be very appealing. It was especially interesting to read about how Henry made overtures to find a wife after his queen, Elizabeth of York died in 1503 and how this impacted his foreign policy. For most of his reign he lobbied for a diplomatic and trade alliance with the Holy Roman Emperor and sought to marry Margaret of Austria, Duchess of Savoy and Regent of the Netherlands. Ultimately, Margaret refused to marry him. Chrimes addresses the viewpoints that Henry was rapacious and miserly. He basically argues yes and no to both. One item of interest is he refutes Francis Bacon’s statement that when Henry died he left a fortune of two million pounds. He says this isn’t true and that most of what remained in the treasury was precious items and jewels, Henry’s favorite investments. There is a diverse selection of appendixes in the book and a myriad of great photos. There is a valuable bibliography and a nice selection of family trees as well. This book is an excellent and reliable overview of King Henry VII’s life and reign and I highly recommend it to lovers of Tudor history.